The family has expanded with the arrival of Perlette also available as a hand puppet. 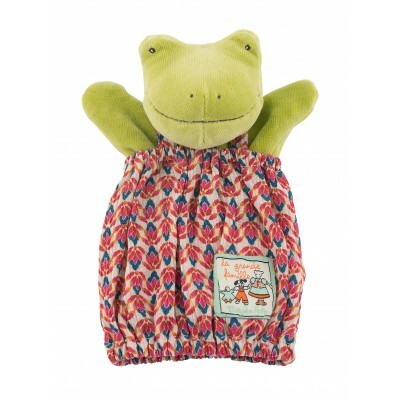 She is a funny and smiley frog and will ensure fun plays! Ideal for developing any child's imagination. Dimension: 25cm. In cotton and polyester. Delicate wash at 30 degrees, no tumble dry. From birth.